Good oral hygiene is essential for kids. While many want to be independent, young children typically can't do an adequate job of brushing on their own and need help from their parents. Even if your child can hold a toothbrush or tie shoes, that doesn't mean that he or she can do a good job brushing. Researchers found that 5-year-olds cleaned only 25 percent of the surfaces of their teeth and 11-year-olds cleaned 50 percent .This means that parents need to help young children brush and supervise when their kids get older to make sure they get their teeth clean. Preschool children generally do not have the skills to brush their teeth adequately on their own. Between the ages of 6 and 12, kids develop better coordination and also assume more responsibility at home and in school. Children can usually begin to brush their own teeth sometime between the ages of 6 and 9. Developmental age is more important than chronological age when it comes to tooth brushing ability. Different kids of the same age may have differences in manual dexterity and hand-eye coordination. Younger kids can do a good job if they are taught proper technique and supervised to make sure they are doing it right. 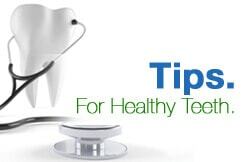 You will need to supervise your child's brushing and do inspections afterward to see if he or she got rid of all the food that was on the teeth. You can also buy your child plaque-disclosing tablets or solutions that turn plaque a different color. This makes it easy for kids to see exactly where plaque is so that they can brush it away. Tablets or solutions will also make it easier for you to tell if your child did a good job.